After their amazing anti-bullying video Burger King is back, this time explaining what the end of net neutrality really means... using easier to understand concepts: their burgers. It isn't easy trying to explain what the end of net neutrality really means, as internet speeds and that sort of thing are abstract concepts lots of people can't really grasp (until it's too late). 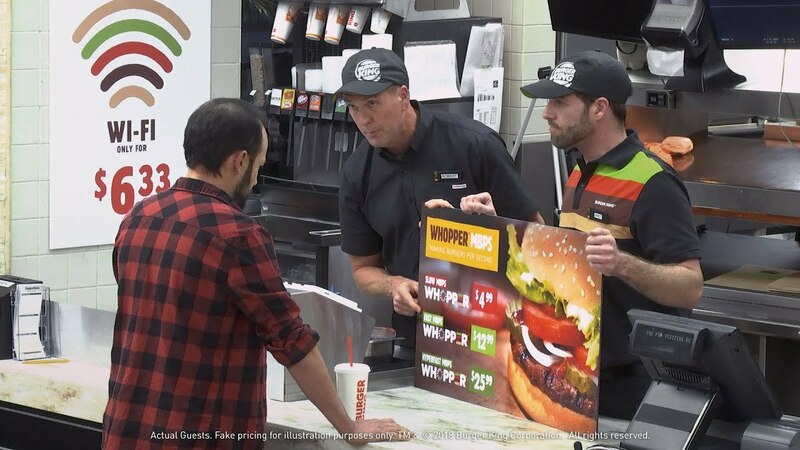 So, Burger King put it plainly: when you get to make your order, you can't simply ask for a burger but have to face several options instead: do you want a regular price whooper but be forced to wait a long time to get it; or are you willing to spend a lot more to get it faster? Yes, it's a funny concept but that truly mimics the internet we're about to have; and they even go as far as explaining the "rationale" behind it, saying they're slowing down the whooper delivery in order to sell more of their order products - the exact same thing ISPs are bound to do, no matter how much they "promise" to remain neutral even without laws to ensure it.